What parallels can be drawn between contemporary transformations in the Internet and the corporate reconstruction of capitalism (to use Martin Sklar’s phrase) in the past? Why bother with the ABC’s ‘Keating’ ? For last year my online commentary focus has been The Conversation. I am relaunching this blog. 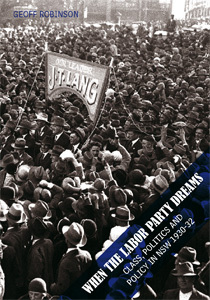 Today I have a review of former Labor leader Mark Latham’s recent book Not Dead Yet at The Conversation. 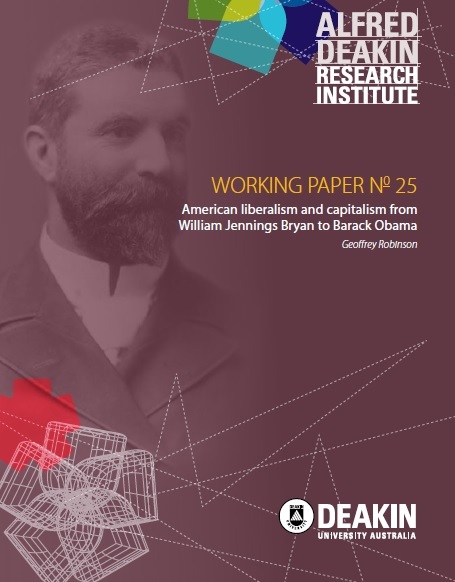 With seven respondents to Latham’s opening essay it is difficult to cover. Labor’s problem: workers or the self-employed? Using the Australian Election Survey and logistic regression to estimate impact of becoming self-employed on the votes of male manual workers. I have also included deunionisation (a likely consequence of self-employment). 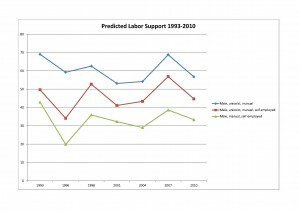 This chart shows predicted Labor vote 1993-2010. 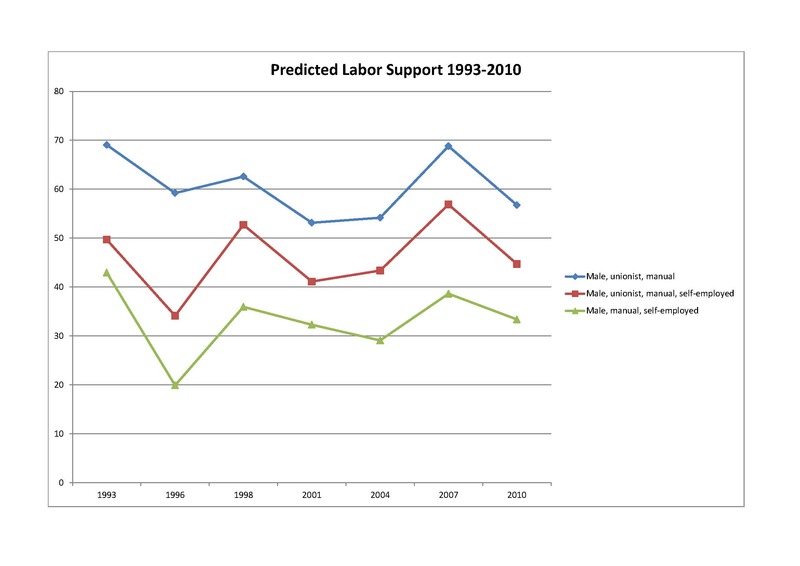 Summary self-employment has a negative impact on Labor vote but this impact has actually declined slightly since 1993. Labor has a workers’ problem not a self-employment problem.